Toyota Witz is an earnest offer from "B-line rental cars". - B-line rental cars – hire car in Cyprus from owner with 24 hours support. Toyota Witz is an earnest offer from “B-line rental cars”. Toyota Witz (from the German witz – joke) is a compact passenger car with a hatchback body manufactured by the Japanese company of the same name from 1999 for the domestic market. 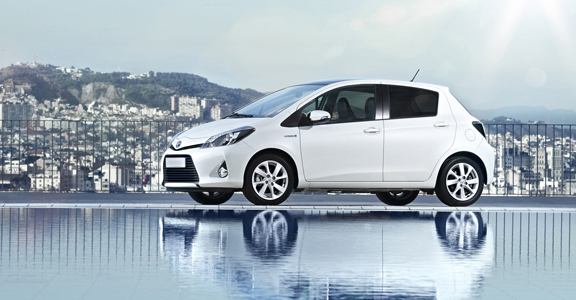 In Europe, this car is well known under the name Toyota Yaris. The company “B-line rental cars” offers its customers the third generation of Toyota Witz, created on a fundamentally new platform and equipped with a 1.3 liter engine. The first thing you pay attention to, immersed in a cozy and spacious interior is a fully electronic modern control panel, equipped with all the necessary instruments, which are located very elaborately. A special visor will give you the opportunity to use all the information on the panel in a very bright sun, which is important when driving in Cyprus. The aerodynamic qualities of Toyota Witz will pleasantly surprise you. 4-cylinder engine of the new generation will achieve high speed in a few seconds, but it does not lose its main advantage – cost-effectiveness. The fuel consumption for a mixed cycle is only 4 liters per 100 kilometers. No need to worry that passengers can get bored during the trip – LCD monitors allow you to enjoy watching photos or movies. Safety in this small car is presented at the highest level – the system of the last generation for a split second will react to any collision. Toyota Witz is an excellent, safe and practical car for travelling, capable of overcoming long distances.